A delegation from Misrata city arrived Wednesday in Zintan city in order to settle down the two cities’ disagreements and agree on inclusive reconciliation. Misrata delegation included Head of military council Ibrahim Bin Rajab, Head of elders council Mohamed Rajoubi, Commander of Al-Bunyan Al-Marsous, Bashir Al-Gadi, and other military and intelligence as well as civil societies and brigades’ chiefs. Zintan’ mayor Mustafa Al-Baroni, Head of elders council, as well as the commander of special operations room Emad Trabelsi, and other officials from the city received the Misrata delegation. The two cities stressed on the necessity of inclusive national reconciliation across Libya, agreeing in the final statement to avoid bloodshed, persevere the constants of February 17 revolution, stress the need for civilian power and reject military coups in Libya. Misrata and Zintan reiterated the need for state-building, peaceful circulation of power, unity of the army, police institutions, and making the revolutionary fighters a part of those institutions under a civilian authority, pointing out the need for fighting terrorism across the country. 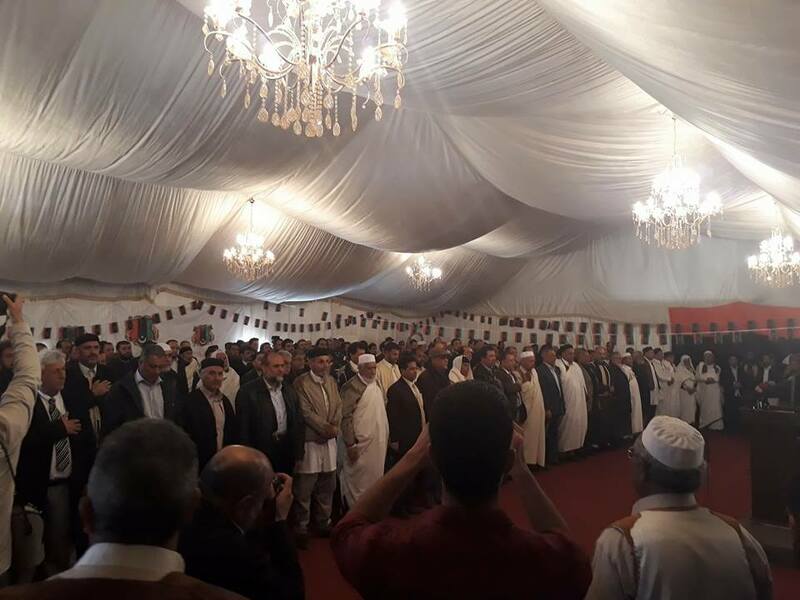 Meanwhile, the Zintan components announced Tuesday that they were ready to achieve reconciliation with Misrata, saying any rejectionists don’t represent Zintan.